Give online now to support the work of the Alongside International program. Note: Please designate your gift to Alongside International under "Additional Information" on the donation page. 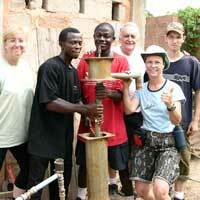 Alongside Team members with restored well in Nigeria.